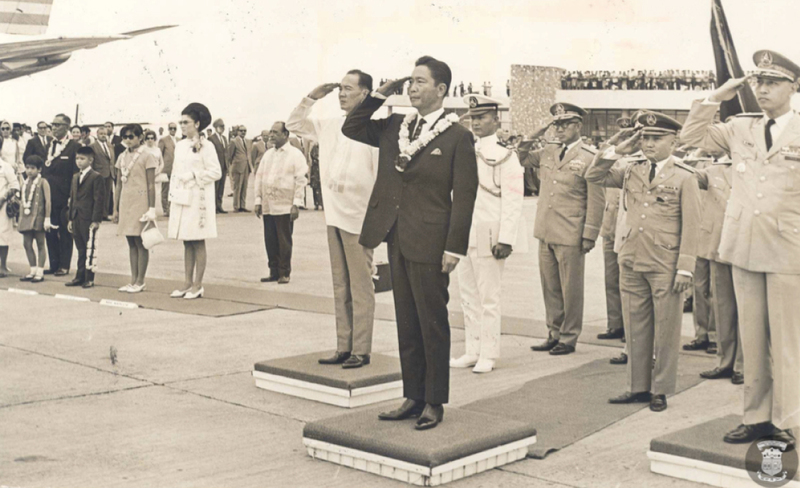 THE strongman Ferdinand Marcos ordered secret military operations in 1970 to 1971, and in 1978 to take over the entire now hotly disputed Spratly group of islands in the South China Sea. Marcos apparently decided to undertake the military operations after being alerted of the area’s existence by fishing-industry businessman Tomas Cloma, a seafaring adventurer from Batangas. 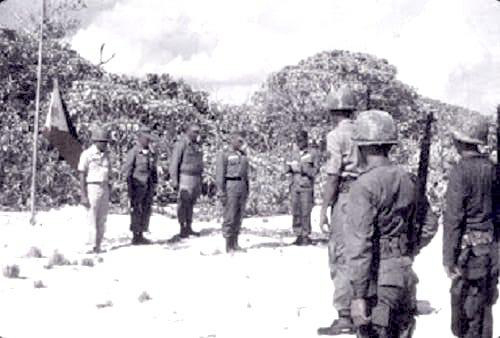 Cloma with his crew of over 40 men had wandered into the Spratly islands in 1956. He subsequently issued a “Proclamation to the Whole World” that announced the creation of a new state he called “The Free Territory of Freedomland,” made up of most of the island group. 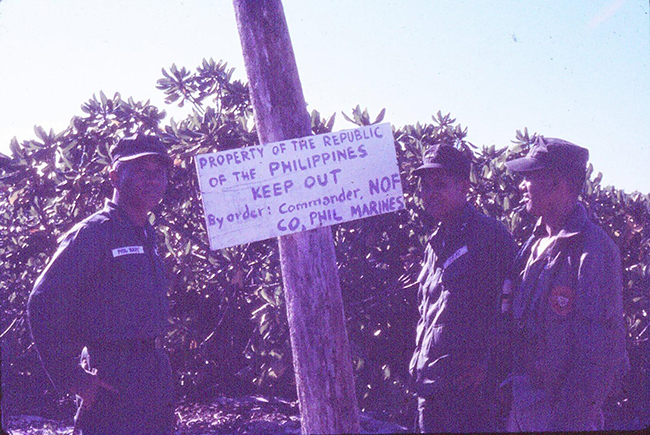 The Philippine Navy and its marines though were thwarted from accomplishing fully the mission ordered by Marcos by South Vietnamese and Taiwanese ships, as they decided not to engage militarily what were, after all, forces from friendly nations. Still though, in 1978 Marcos formalized through Presidential Decree 1596 the incorporation of all of the 14 islands and 13 reefs into our territory as the Kalayaan Group of Islands, designated as a municipality of Palawan. This was despite the occupation by the Vietnamese of nine islands and reefs in the area, by the Taiwanese of the largest island Taiping, and by Malaysia of the Layang-layang reef on which it has reclaimed land to turn it into a dive resort. Our entire holdings in the Spratlys to this day consist of these features Marcos ordered grabbed, which altogether have an area of 84 hectares, making us the biggest real-estate “magnate” in the disputed area. The next biggest property-holder is Vietnam with its nine islands and seven reefs having a total hectarage of 50. Our Pag-Asa island with 37 hectares is the second biggest island in the area, next to Taiwan’s 46-hectareTaiping island. 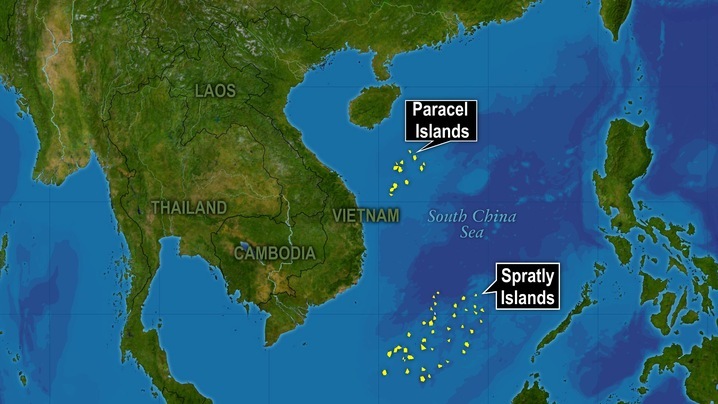 However, the massive land reclamation since the last decade by China on the seven reefs it occupied starting in 1988 have created a territory far bigger than the area of all of the natural islands. Supreme Court Justice Antonio Carpio, who has made a second career of demonizing China as a bully in the South China Sea, demonstrated his intellectual dishonesty when in his 90,000-word e-book on the territorial dispute, he devotes just one sentence to explain this very audacious move of Marcos that got for us our properties in the South China Sea. However, Marcos’ move to grab the Spratlys for us was far from being a staid issuance of a presidential decree. I have stumbled in the world wide web on a narrative that reveals to us with some vivid detail Marcos’ secret operation starting in 1970 to take over all of the islands in the Spratlys. The narrative is undoubtedly authentic as it was an interview—accompanied by photos—of Navy and Marine officers who actually undertook the operation, and who had migrated to the US. The account was in a 2012 posting in the blog bonginvirginia.blogspot.com of Filipino Americans living in Virginia. Retired Navy Capt. Domingo Tucay’s eyes light up as he talks about those heady days when the Philippines could send ships and men uncontested to the Spratly Islands. 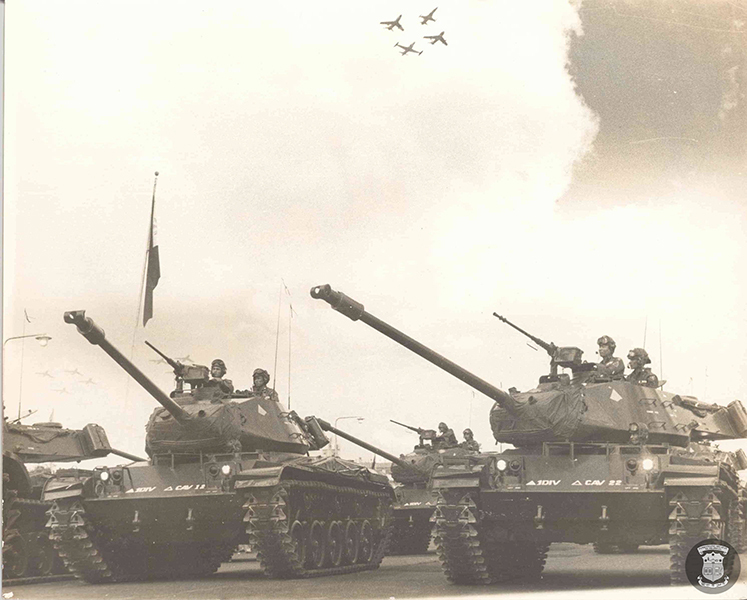 The late 1960s marked the peak of the Philippine Navy. Although most of its warships were handed down from the United States, it was the envy of the region. Southeast Asian neighbors were only beginning to form their own navies and looked to the Philippines for inspiration and lessons on maritime defense. Capt. Tucay, a member of Philippine Military Academy (PMA) Class 1965, worked as the country’s naval attaché in Washington D.C. in the 1980s. When he retired, he and his family decided to stay and they now live in McLean, Virginia. He was a young lieutenant assigned to the intelligence section of a top-secret task force dispatched by then President Ferdinand Marcos sometime in 1970-71 to lay claim on seven islands in the South China Sea. “We had a Marine contingent, a naval construction battalion and of course the Navy task unit,” Tucay explained. The task force was led by Capt. Ernesto Ogbinar, who would later become Navy Flag Officer in Command. “The operation was so secret that the ship commanders were not allowed to open their mission orders until we reached point x-ray,” he recalled. He revealed that their flagship was the US-built destroyer “Quezon” and among the junior officers aboard is current Parañaque Congressman Roilo Golez, an Annapolis graduate. Just 15 years earlier, self-styled “Admiral” Tomas Cloma, a fishing magnate who also owned one of the nation’s top maritime schools, claimed to have occupied 53 islands, islets and reefs comprising the Spratly Islands. He named them the Kalayaan (Freedom) Island Group. China, Vietnam, France and most especially Taiwan protested Cloma’s claims. He said the only Chinese presence in the area came from the Taiwanese Navy that, he said, was the most assertive of the claimant-nations in the area, aside of course from the Philippines. Cloma had settled near what is now Itu Aba Island, the largest of the Spratly Islands and the only one with a freshwater supply. But Taiwan sent its warships, dismantled Cloma’s structures and confiscated his weapons. It is now garrisoned by Taiwanese Marines and a runway was built in 2007 – the only other airstrip capable of landing C-130 cargo planes aside from the Philippine runway on Pag-Asa Island. “Initially it was just a tower, then we installed the light and batteries. That was the northernmost part of the islands, doon dumadaan ang mga barko, mga commercial vessels,” he explained. He added [that]it was then Executive Secretary Alejandro Melchor’s idea to place a lighthouse and register it in the book of aids of navigation, thereby advertising to the world that that corner at least of the Spratlys belonged to the Philippines. “It was unopposed but on another island about two miles away may dumating na lang bigla na tatlong destroyers. Sabi ni Roilo (Golez) ‘wow, they look menacing’,” Capt. Tucay said. He added they felt relieved after observing the warships were also US-built. They turned out to be South Vietnamese. “We intentionally did not land in that island because we wanted to make it a nature sanctuary so we just put a marker. Yun lang ang isla na may coconut trees. I even counted them. There were 43. Pinasabog ng mga Vietnamese yung marker natin,” he revealed. He said they communicated the invitation through flashing lights and discovered they were using the same ciphers that Capt. Tucay said, on hindsight, was logical since they both relied on American equipment. He confessed that after the ships left, they went back, destroyed the Vietnamese marker and placed a new one all over again. At the time, the Philippines and South Vietnam were allies in the war against the communist North. The Philippines sent army engineers as part of an expeditionary force there, Capt. Tucay pointed out. He would join another mission in 1978. He had risen through the ranks by then, a lieutenant commander and skipper of the corvette “Sultan Kudarat.” The flotilla included a Landing Ship Tank (LST) laden with coconut trees and building materials. They were ordered to proceed to a cay that Capt. Tucay said he was sure, wasn’t there. Perhaps an indication of how freewheeling the Spratlys were at the time, Capt. Tucay jokes that he sought permission to name the place “Tu-cay”. “Negative,” his headquarters shot back, and was told then Western Command chief Commodore Proceso “Tiger” Fernandez was already speaking with AFP, UPI and AP about their ongoing activities in the Spratlys. That cay was named Panata that Capt. Tucay said was the last land feature claimed by the Philippines. On July 17, 1978, Marcos signed Presidential Decree 1599 proclaiming the Kalayaan Island Group (composed of Pag-Asa, Likas, Parola, Kota, Panata, Lawak and Patag islands) part of the country’s exclusive economic zone (EEZ). The island group also encompassed Commodore or Rizal Reef. With a total area of just a third of a square mile, it is a registered fifth-class municipality of Palawan with its own mayor.